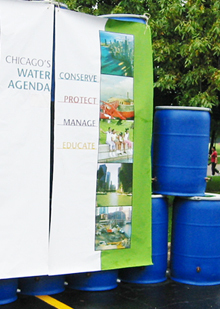 In 2004, the City of Chicago launched a pilot rain barrel program to help empower residents to conserve water and be part of the solution to the city’s stormwater runoff and flooding challenges. Today, the initiative has been incorporated into the City’s Chicago Sustainable Backyards Program, an educational and incentive program helping Chicagoans create more environmentally friendly yards. 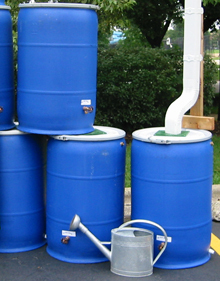 Learn more about Chicago rain barrels and the Chicago Sustainable Backyard Program.